The Kansas City Royals today announced the signing of Japanese 16-year old pitcher Kaito Yuki. 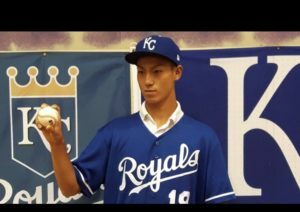 The Osaka, Japan native just completed his junior high season in May and chose to sign a professional contract with the Royals over attending high school. Yuki, is a 6-2, 170 lb. right-handed pitcher who was born on May 12, 2002.